"We are facing a period of disruption, the like of which I have not witnessed in my career. It has the potential to obsolete businesses and destroy industries. Even the disrupters are being disrupted! 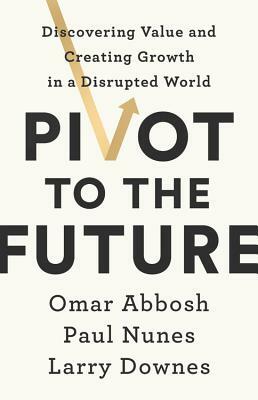 As Pivot to the Future argues compellingly, traditional strategies are no longer enough. From their own experience, the authors reveal that reinvention must now be a constant, and must address not only the legacy businesses but pivot into new, scalable businesses. This requires organizations to embrace both technological and cultural change, and take bold moves from an outside in perspective. Change should be measured across three horizons: the old, the now, and the new. I recommend this book to those of you who have stepped up to this exciting challenge, understand the magnitude of what is required, and are keen to learn from their peers." "We no longer live in a world of digital divide. The winner takes all markets ahead will create a disruption unlike no other. Winners must make bold and wise pivots required for success. This book illustrates and proves with examples that span multiple industries why incremental innovation is not enough. When the iPhone came out, it destroyed twenty-seven business models and over 10,000 products. THAT is disruption. And that's why we need the kind of advice I'm seeing in this timely book. "—R "Ray" Wang, principal analyst and founder, Constellation Research, Inc.